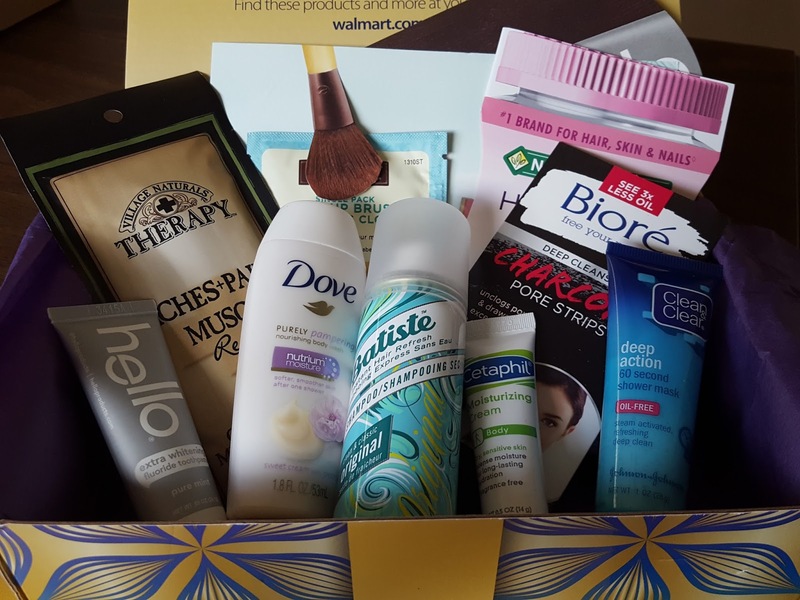 The Walmart beauty box is great for budget-conscious types (like me!) since everything can be found at your local Walmart or nearest big box store. And to be honest, I've discovered some things through this box that I prefer over their high end counterparts. Be forewarned that you'll probably get at least one repeat item in each box but there's always something new in there as well. 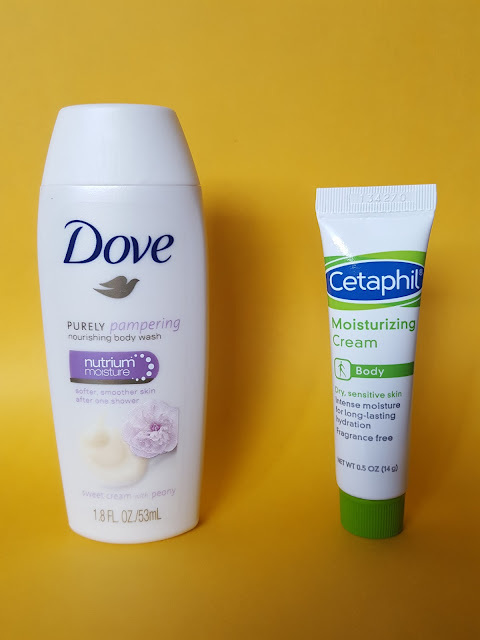 Dove Purely Pampering Nourishing Body Wash - Sweet Cream with Peony - Speaking of repeat items, I know I've gotten a Dove Nutrium Moisture body wash in a previous box, but it was probably in a different scent. I would love to comment on the sweet cream & peony scent; unfortunately, I have a cold at the moment and can't smell ANYTHING. But in my past experience Dove body washes are quite moisturizing and leave my skin feeling soft. Cetaphil Moisturizing Body Cream - Every box comes with at least one product especially made for dry, itchy skin. This is great because my husband is still on the quest for finding the perfect moisturizing cream. Mostly everything isn't hydrating enough or gets absorbed so quickly that he'll burn through an entire bottle in two weeks. Cerave cream came close, and since Cetaphil is supposed to be comparable, I'm interested to see how this fares. Batiste Dry Shampoo - Dry shampoos seem to be all the rage lately, but I haven't jumped on the bandwagon. Of all the brands I've tried none have kept my hair from looking greasy and weighed down. If anything it made it look more so. Maybe I'm just using it wrong?? Hello Naturally Friendly Extra Whitening Fluoride Toothpaste - Lots of whitening toothpastes are bad for those with sensitive teeth and gums due to the harsh peroxides and dyes in them. 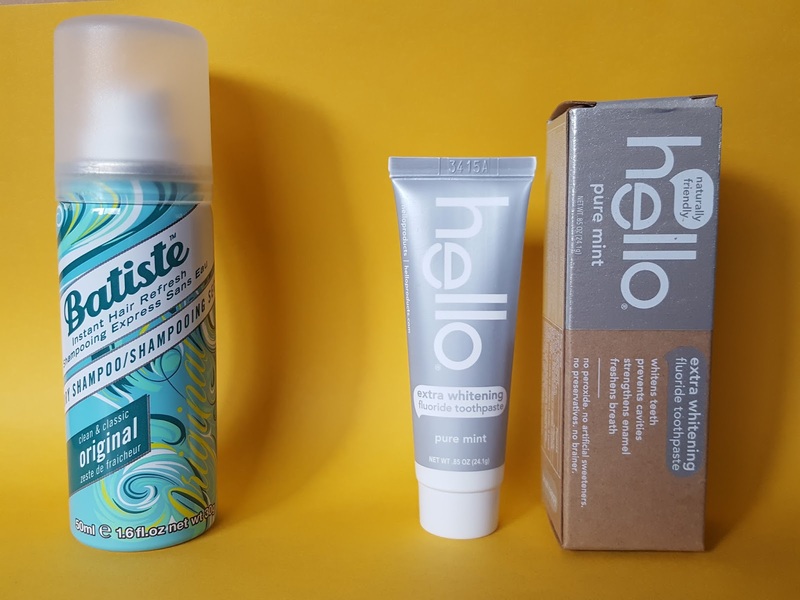 Fortunately, Hello naturally friendly toothpaste contains a silica and calcium carbonate blend that gently whitens teeth while also preventing cavities and strengthening enamel. Clean & Clear Deep Action 60 Second Shower Mask - Let's face it. We're all busy and want to save time. If that includes being able to use a mask in the shower then I'm all ears. This exfoliating mask works with the steam of your shower to remove dirt, oil and dead skin. And all you need is 60 seconds! And in case you have oily skin, you'll be happy to know that this mask is oil-free. 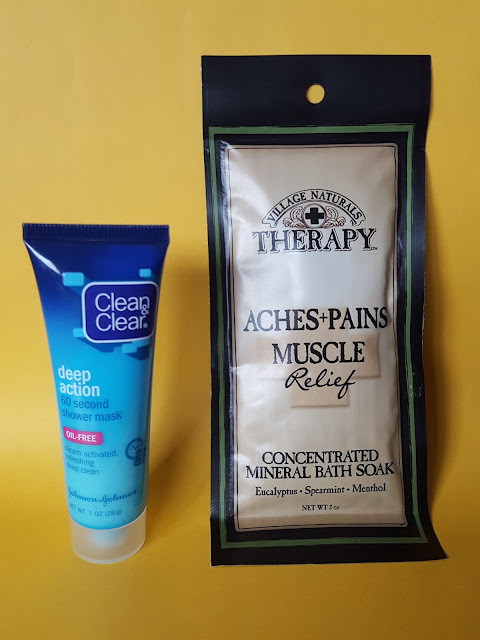 Village Naturals Therapy Aches+Pains Muscle Relief Concentrated Mineral Bath Soak - You've probably heard of using Epsom salt to soothe sore muscles. This is exactly that, with soothing eucalyptus, spearmint and menthol essential oils for further relaxation. Just dissolve this packet in bath water, soak your tired muscles for 12-15 minutes, and feel the pain melt away. 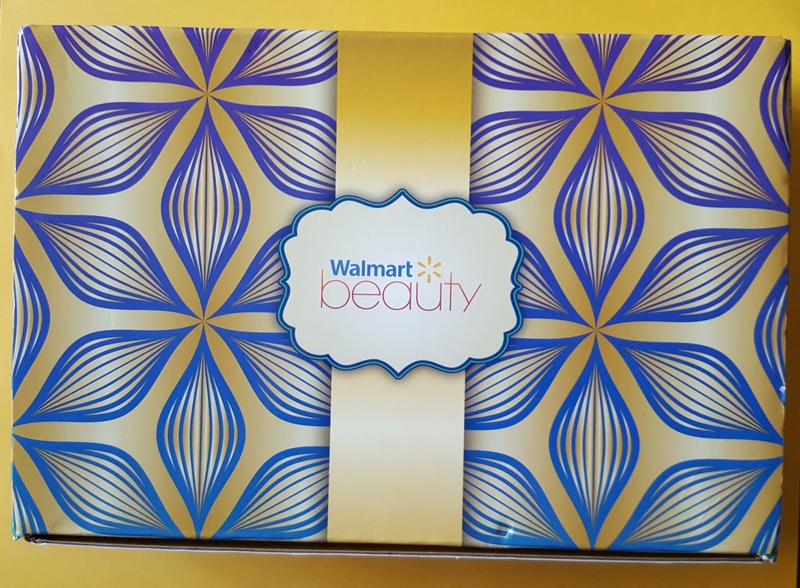 Walmart Beauty always throws in a couple of single-use samples to round out the box. 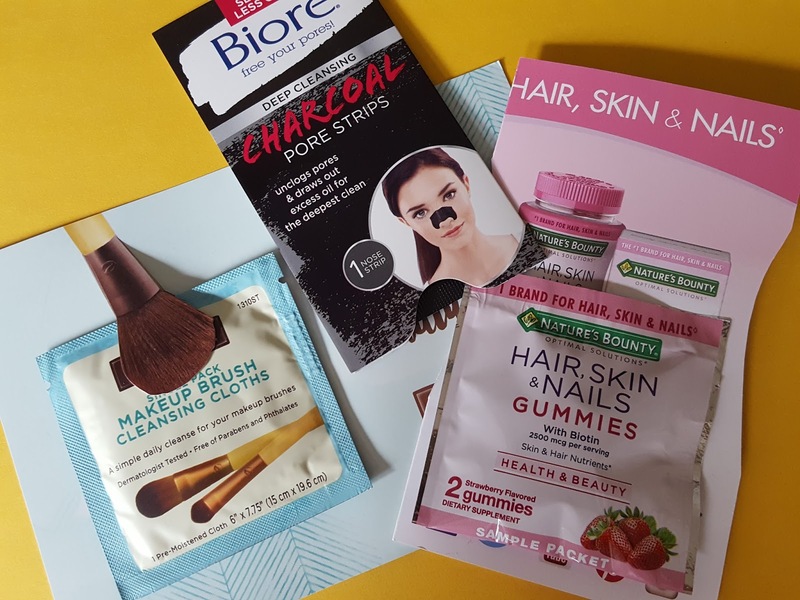 This time we got some vitamin gummies, makeup brush cleansing cloths, and Biore nose strips. Nothing life-changing, but they're fun to try nonetheless. If you like what you see here, it's not too late to get a Fall beauty box! Click here to sign up. This review was for the Trendsetter box, but you could get a Classic version according to which age group you fall in. 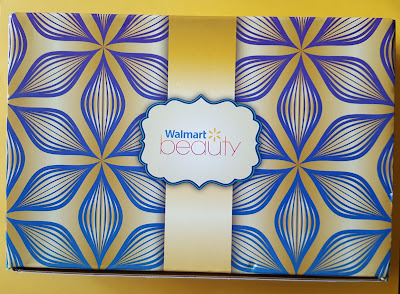 Lately the box values have been on par with the shipping charge, but I stay subscribed because it's always fun to see what new affordable beauty finds there are each season!